The quality of sampling in music, like DJing, is often decided by tasteful selection and arrangement rather than heavy processing and editing. This is something noticeable in some of the best modern dance music, and Parisian label, Sampling As An Art, is certainly close to warranting such description.The label, headed by S3A, is set to release a four-track record of – to use what’s no doubt become a trite joke – sample-heavy music deserving of praise for its genuine artistry. 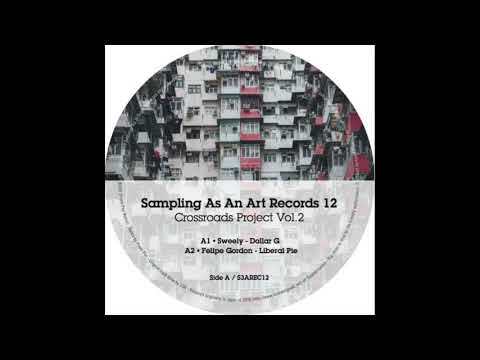 Each track of this EP is quite different to its company, and we reckon we’ve landed the best of the lot for our premiere: the A1 tune by Sweely, Dollar G.
Lively percussion persists with full musical force during the whole eight minutes of this jazzy, house number, introducing itself in tasteful layers throughout the opening part of the track until a bass and piano, with quintessential jazz timbre, slide in smoothly.Almost four minutes in we realise where the song was headed all along: toward a soulful female vocal harmony that lifts the music up another level and keeps it there until the end. A second track of this quality could justify a two-track EP. Luckily, the other three are almost on par, we think. Bogota’s Felipe Gordon adds some acid-jazz fusion, before a daft-punk-style Pnom Pen remix and a stripped back, sax-samples-and-all cut from G2S round off the record on the B side. Pre-order here!